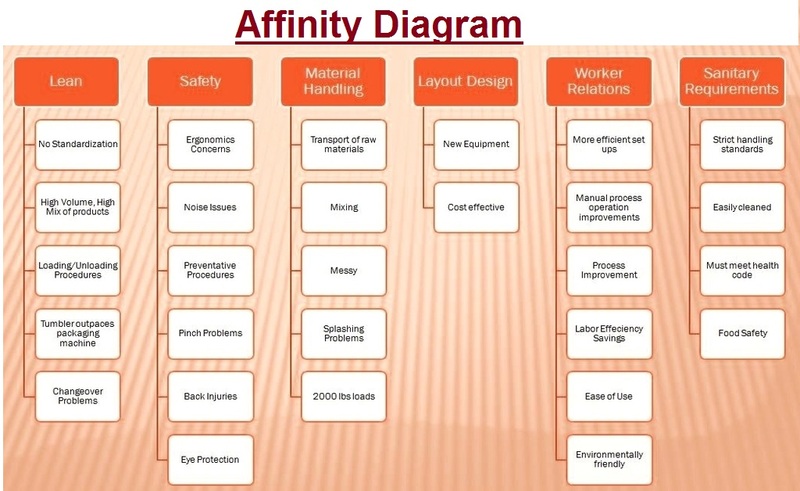 Affinity – Affinity Diagram – Affinity Analysis – Affinity Framework – Affinity diagrams are used to organize ideas and data during a brainstorming session. The ideas are grouped and segmented by various topics and/or relationships. Affinity diagrams are usually completed on yellow post notes. The affinity charts are widely used within the practice of project management are one of the key 7 management and planning tools. This is also often referred to as a KJ Method. Essentially, the affinity process consists of two main steps – 1. record your ideas 2. look for relationships and organize ideas into meaningful buckets.